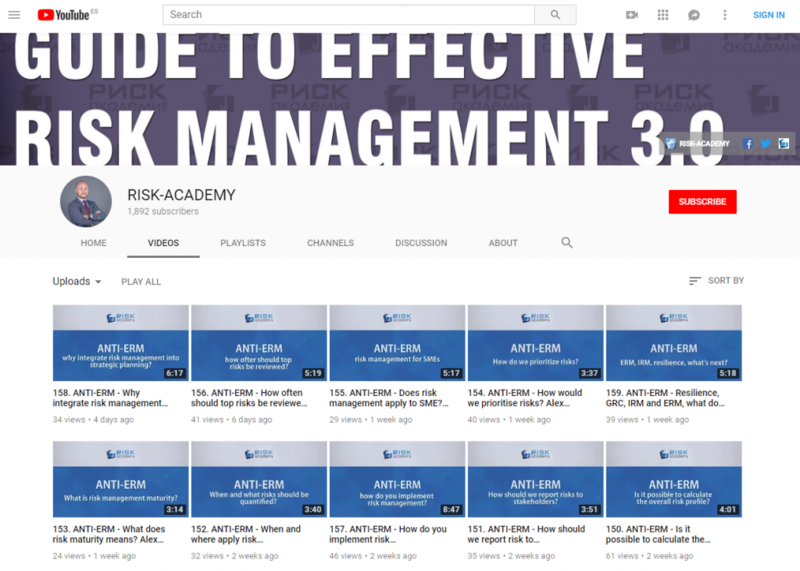 In the third of a four-part series, Alex Sidorenko, founder and CEO of Risk-Academy, explains how risk management is disconnected from decision making. This I found most bizarre, we seem to have created a myth that risk management is about managing risks. Not so. Risk management is not an objective in itself. It’s just another management tool to help them make better decisions and hence achieve the objectives. There is a big difference between how mature organizations implement risk management and the rest. Integrate risk analysis into significant strategic, operational or investment decisions. Create a methodology that allows management to identify, analyze and document key risks associated with the decision. Make sure the outcomes of the risk analysis have a direct impact on the decision structure or content, otherwise it makes no sense for the management to do the risk analysis. For example, on some of the investment projects the outcomes of the risk analysis affected the valuation of the projects. Provide risk management training and support. Create a separate methodology to validate the results of the risk analysis prepared by the management using the information provided by finance, legal, strategy, internal audit and security departments. Alex your articles are always refreshing and thought provoking. Risk-,based decision making is central to risk management.